Samuel DuBose argues with Officer Ray Tensing, whose hands are seen here on his body cam. Moments later, Tensing shot DuBose as he began accelerating. A routine traffic stop in Cincinnati quickly escalated into yet another chapter in the ongoing American saga, “Cop kills unarmed black man.” University of Cincinnati police officer Ray Tensing’s body camera shows the July 19 encounter between himself and the victim, Samuel DuBose. 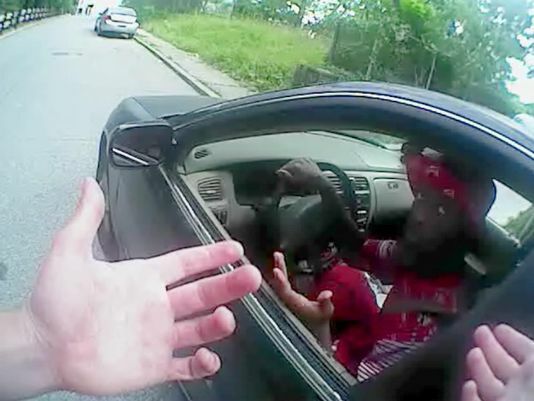 In the video, DuBose becomes somewhat evasive when Tensing asks for his ID, suggesting he had a license but not on him. When DuBose did not immediately comply with Tensing’s follow-up command to exit the vehicle, Tensing reached into the car, DuBose accelerated, and Tensing shot him in the head. Unlike countless other officers in similar situations, Tensing was charged with murder for his actions. That’s a small measure of justice, but there is still plenty about the incident that speaks to the monstrousness of the police state and the judicial protections that insulate it from scrutiny. Upon Judge Megan Shanahan’s reading of the charges and the bond, friends and family of DuBose in the courtroom let out a cheer. Immediately, Shanahan silenced and instructed them to conduct themselves in a manner more becoming of a courtroom setting. Courtroom etiquette helps ensure orderly legal proceedings, but there’s something about the harshness of the reprimand that’s unsettling. Meanwhile Tensing’s attorney took several minutes to talk about his client’s exemplary record as a citizen, a student, and a member of the UC police force. Tensing, his lawyer, and Shanahan all seemed anguished over the ordeal, as if the tragedy were happening to Tensing and not the family of Tensing’s victim. Since his father posted 10 percent of the million-dollar bond, until his trial Ray Tensing is basically a free man. He won’t be allowed to go to work anymore, but being fired for shooting an unarmed man in the face is certainly the minimum outcome to be expected from the case. The initial infraction of failure to show ID isn’t even necessarily a crime. Except that Tensing now wants his job back, and a police union is backing him up. This kind of behavior is a big part of what makes the general public so distrustful of police. If police were more dedicated to their ideals of protecting the citizenry and gave up this racket of protecting one another like an untouchable fraternity, there wouldn’t be so much hostility between them and the communities they serve. Tensing appears at his arraignment. His father posted his $100,000 bail. Ignoring the racial component of the case is just impossible. 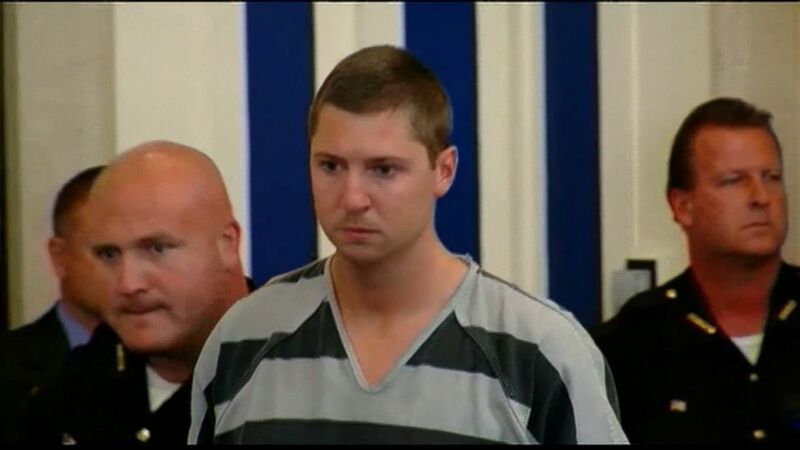 From the moment the altercation begins, Tensing does nothing to conceal his contempt and suspicion of DuBose. He seems convinced that if he grills DuBose long enough, he can nail him on something. The first thing Tensing asks is whether or not the car DuBose is driving belongs to him, a racially charged question that many a black American has to field. DuBose is also dressed rather flamboyantly, as reliable a way as any for a black man to attract unwanted police attention. One can hardly blame DuBose for attempting to flee as Tensing became more hostile and started to become physical. Actually, DuBose’s instincts were spot-on: any fear he had that this white cop might pull out his gun and use it on him was obviously well-founded. Compare this incident to another that happened in Ohio in April 2015. The officer in that case, a rookie named Jesse Kidder, was widely praised for his handling of a white double-homicide suspect who was behaving like a maniac and begging the officer to shoot him. Kidder, with his gun drawn, refused to fire. It would be unfair to assume he’d have reacted differently to a black suspect, but it’s very difficult to honestly imagine that a deranged, black double-homicide suspect failing to comply with police instructions and begging to be shot would not be obliged. Sensing the obvious racial dynamics at play, the University of Cincinnati shut down and evacuated campus on the day Tensing’s body cam footage was released. Police prepared for riots. For Cincinnati, it was déjà vu. In 2001, the city erupted in riots over the death of Timothy Thomas, a young, unarmed black kid who was shot dead while running from police. Protests in the wake of DuBose’s murder have been peaceful. But it’s incredibly cynical that Cincinnati police – as an NBC headline put it – apply their battle-tested “lessons from 2001 in reaction to Samuel DuBose death.” A nicer solution than learning how to deal with protests resulting from police violence would be to better-train and more thoroughly vet officers to remove the need for such protests in the first place. According to the Cincinnati FOX affiliate that broke the police union story, Tensing is the first officer in the Tri-State area – encompassing Ohio, Kentucky and Indiana – to be charged with murder for actions taken in the line of duty. The statistic is surprising for two slightly disjointed reasons. First, even a society with the most sublime police force would likely suffer from a few bad eggs and unfortunate incidents. Second, of course there are such incidents, and it’s remarkable that no one has ever been charged for them before. Tensing joins a very short list of officers nationwide who’ve been indicted on murder charges for crimes committed in the line of duty, none of whom have actually been convicted. Odds are very good that, like them, Tensing too will walk away free. There’s very little to say about the American police state that hasn’t been repeated ad nauseam week after week as the victims pile up. Police get away with too much, they’re too heavily armed, they’re too quick to use force, and their culture views the country as populated by criminals who are best dealt with violently. Tensing’s indictment is a good sign that the tide may be changing. But even if he makes history by being the first officer actually convicted, we still have a long way to go in rolling back the police state.